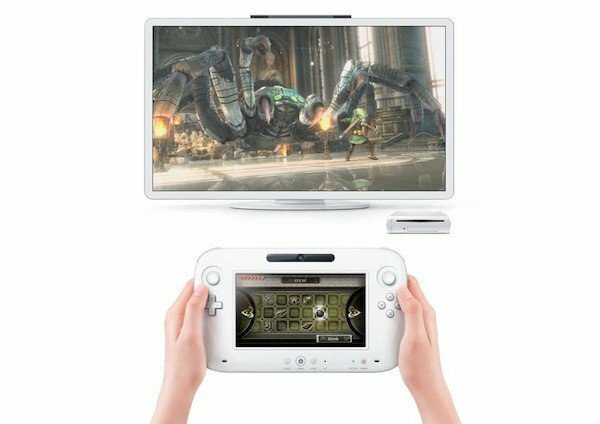 Nintendo opens the new generation of consoles with Wii U and its controller-tablet, with all that this implies and we have met since its presentation at E3 2011. His staging generated many doubts, but over time has become known known to it and its catalog of games and not unlikely to continue the trail that has left its predecessor Wii. This is one of the strongest bets in entertainment with Nintendo looking " change the way you look and play video games, "according to the president of the Japanese company, Satoru Iwata. The Wii U is Nintendo's hand and goes on sale on November 30, 2012, with a catalog suitable for all tastes and with two prices, depending on the package you opt for. 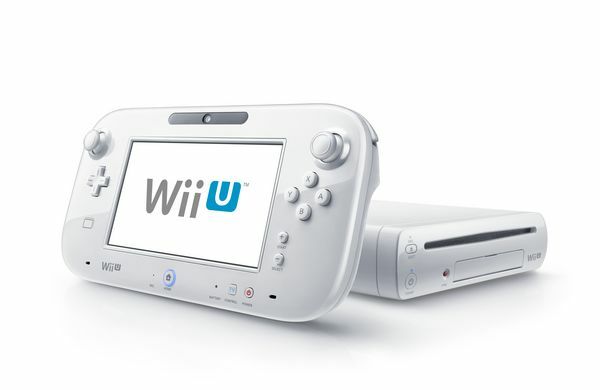 The basic package costs about 300 euros and includes, as its name suggests, the basics to play with Wii U, ie white console with 8 GB of capacity and over. There is also a Premium version, with a price of around 350 euros, which includes, in addition to black color console with 32 GB capacity and command, the video game Nintendo Land, and support for command charging base and the possibility of create an account "Premium" for digital content that Nintendo has prepared for its new console. A double sensation addresses us as we get to the console. At first while you connect the console and prepare everything for your first game could give us the feeling of connecting a new Wii, with a different command, but not until we get down to the controls with the console on and enjoy a game when totally different game experience, the result of gameplay featuring the controller. Super Mario Bros. U, U and Nintendo Zombie Land are the games that we choose to introduce the new Nintendo console, in addition to get by far, the three manage to make us quickly with the remote control and enjoy in a way never before view on a home console to use. After the first games, the console stops feeling very good and makes us think about the future holds for the console considering that this is only the beginning. This is a hardware that has given much to talk about, that has divided opinion among gamers seeking a graphic section "at the height of a new generation" and those who bet on gameplay and more complete gaming experience. Beyond the debate, the console is a technical advance both its predecessor and for the other consoles on the market. So, the console includes a processor created by IBM and an ATI Radeon HD posed technical base of the console. The console also has different USB ports, SD card slot, HDMI port and wireless connectivity, with the possibility of using a network cable if you buy the USB adapter is necessary for that purpose. The command also has its own specifications, based on its variety of sensors, peripherals, display, and connectivity. Accelerometer, gyroscope, microphone, camera and all buttons will be distributed as principal of this command, to say nothing of its touchscreen , of which more later. Connectivity comes on the heels of an infrared sensor, the Nintendo Network connector and bluetooth, enough to use the various accessories that come with time or the controller itself and the last Wii to connect to the console with the least possible delay and without colliding with other Bluetooth devices. One of the few controls that requires its own section on analysis of a console, for all the attention since its introduction has grabbed the knob the screen that closely resembles a tablet. Fairly light and connected by Bluetooth to the console, the Wii U GamePad has everything you need to connect the traditional with the new game, with the help of a touch screen and incorporates sensors and tools inside. The control screen is 6.2 inches in widescreen, with controls on the sides of it. The screen technology and allows control without processors or graphics cards, be able to play everything the console sees fit without any delay, from transferring the scene of the game in control and able to use it without the TV as complementary information panel data as a minimap, inventory, or more generally, and even expand the possibilities of the touch panel with the tools that can contribute. No doubt the main innovation that brings Wii U to any gamer is the control and gameplay featuring a hybrid of classic and what is to come. Already seen how the gameplay with two screens with Nintendo DS and all its family, but his system applied to consoles is a very different experience, because the touch command captures all the attention in most of the games we play with her. All this without mentioning the multiplayer capabilities offered by this structure, which combines the Wii Remotes with Wii U, bringing different challenges for us and for those we invite to play with us, to join us in our adventures or challenge us in different games that offer these modalities. Someone searching generation leap as far as gameplay is concerned, Wii U is a safe bet and will not disappoint. The performance can be measured only with games that have prepared different companies (and prepare) for Wii U, and every title that we play will look significantly without any performance issues. Regarding other consoles, you have to say no it shows a graphic section very different from other existing consoles, so we'll see more titles to consider all the possibilities offered by the console. Think also that this is a console that, in most cases, works two screens at once (the TV and the remote), and fulfilled without any problems, so we can say that performance is more than fair. For the comfort one can only say that the command can be a little big and gain control costs, but because it is lightweight and ergonomic design is really comfortable and easy to play with her ​​from the start. There will be a time when control will dominate hybrid touchscreen and physical buttons and allow us to enjoy any game coming to Wii U whether using only analog buttons as you use the touch screen only or both. While price can do something high for some pockets, it is a console that could survive with our TV even more than the almost veteran Wii. Besides the console comes at a key moment (dates prior to Christmas) along with a number of games (many of which have already become flagship Wii U, like New Super Mario Bros U), which could make it perfectly in the ideal gift for any fan of Nintendo gamer and all its most classic sagas, some of which are available from the time when the console goes on sale. We also noticed the effort given by Nintendo to broaden its range of games with its new console, bringing different franchises such as Assassin's Creed or Batman with new forms of gameplay. 's New franchises also take place, including cutting adult as Zombie U , Ubisoft's hand. Thus, both the audience and the casual gamer, both younger and older players may enjoy all the games that Nintendo prepares to Wii U. Overall, this is a console that no fan should miss Nintendo, nor those seeking a totally new and different gameplay to the already seen on consoles. 's Catalog of games will not be a problem and there from the first day for everyone, not to mention what is to come. 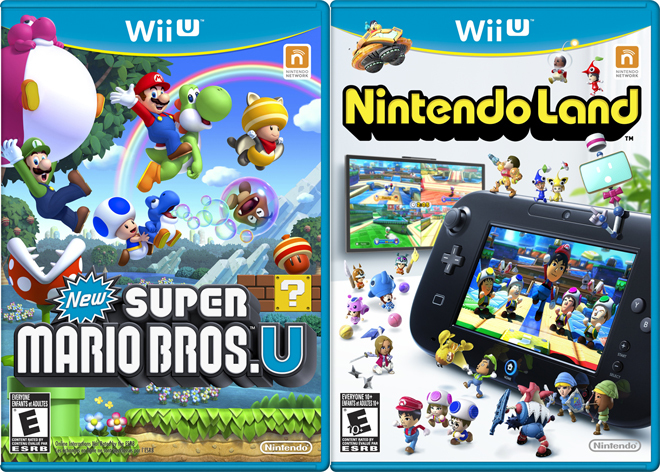 Wii U is Nintendo's commitment to continue the legacy of Wii but in order to please both casual players and the more traditional, and does more than . Failing to see the future of Sony and Microsoft bets, if you give more importance to the gameplay or innovation compared to the last technical section, Wii U console could be looking to make the leap to the next generation of consoles desktop. 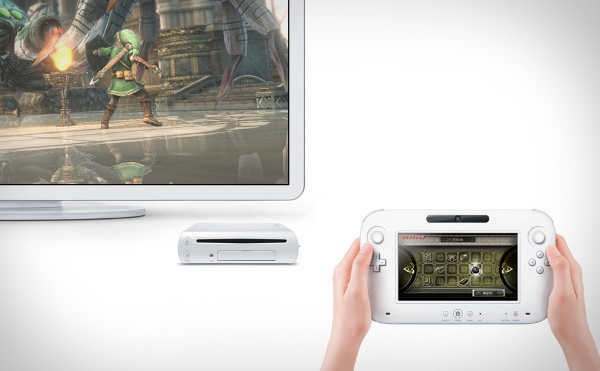 Nintendo wants the Wii U launch is powerful. That is why we have decided to go for their franchise star to come out hard and have a reference. We're talking, how could it be otherwise, the plumber and his new venture: 'New Super Mario Bros. U'. When this franchise debuted in his day in Nintendo DS, was met with a fairly good acceptance. Reinvented 2D although the approach to reach all audiences, a direction hinted in subsequent sequels. The introduction of up to four players, aid for when we get stuck, development increasingly silly and hardly challenges for experts ... elements that have helped many people reach but also to repel many others. Now, after passing through Nintendo 3DS, are among those who are not very clear about their future. The Japanese company are clear that at least one more delivery itself and Nintendo Wii U want to prove they can bring things to a trilogy that has quite continuity sin. There are elements that remain, but there are also many new features. Now we have made this introduction is to contextualize the saga where we come to talk about the game, which aims to exploit some of the new concepts introduced Wii U when playing. 'New Super Mario Bros. U' tells the story. Surprise! At this point, nobody is surprised the monotony of the Mushroom Kingdom and the Stockholm syndrome of Princess Peach. Never mind. I assume in the end, no matter how simple it may be, serves to justify the game chicha. Following the introduction of the facts, and finish at the other end of the Mushroom Kingdom, began our adventure to rescue the princess. Repeat development in world map but this time Nintendo has done a great job. Gone are the linear and somewhat stale worlds of the first three titles. Now we are able to map, alive, beautiful and with many avenues to explore. They have taken three games to realize that a formula like 'Super Mario World' works. We started playing and we see that the trend of the previous 'New Super Mario' is repeated: colorful scenes, a very successful design levels but also with many successes to be watching as we go. New ideas arise and are not used to rehash, as in 'New Super Mario Bros 2'. Of course, there is still an aspect that grinds me, a lot. Play 'New Super Mario Bros' is like being part of a musical. Enemies move to the rhythm of music, stand to sing. Do not give the impression of being a threat but part of a kind of play where everyone is happy. Bowser has no thugs really inspire some danger. There is nothing groundbreaking in what we have seen in 2D, are ideas that fit well into the concept of the franchise and make playing a fun experience and above all varied, not only in the themes of each world but in the how to play. With this, and objects as the Yoshis, the mix is excellent and there are four sets of 'New Super Mario' this is the most comprehensive by far. Getting all the stars in the saved game will take a few hours so we have hours and hours of game time. The rest of the mechanics involved no surprises: the controls are very precise and show that Nintendo has dominated this aspect only. New objects, like the flying squirrel suit, are as one in this experience. The difficulty curve also comes with some changes. While you walk far from genres like masocore ('Super Meat Boy', 'I wanna be the guy' ...) the truth is that it has a few challenges. Nothing particularly difficult but we will just lose a few lives. We are grateful to have this aspect carefully. For more awkward when we lose some life may play automatically level and decide where we want to continue on our own. Something that many ignored but do not forget who wants to go Nintendo. Parallel to the main story, there are three modes of play that far from being added spaces give enough. Challenges that will test our ability where the medals and records encouraged to keep playing. Also we can play with our Miis but the truth is that never quite fit into the aesthetics of the game. As we know, Wii U introduces the gameplay through the GamePad. In this case there is conspicuous by its versatility but by something quite important: comfort. The control display will serve as a mirror of the console and can play without using the monitor or TV. Is not that innovative? The truth is that it is possible to play but lying on the couch or in bed also has its positive side though that's what the handheld, actually. If we choose to play as a group, up to five players, who have the GamePad can act as a fifth player attending the rest. Perfect if you have someone who is skilled or simply just want to go without getting too full. Leaving aside the remote, Wii U serves as a platform to share messages online via Street Pass function. With it, we have the support of the online community and the official forums. Well to strengthen the community but does not play a role. On the technical side, it is clear that today there is still a significant difference between the games developed by Nintendo and those made ​​by third parties. Everything looks very polished, as in 'Nintendo Land', although again not a game where you look too. Even so, this section also rises a little ribbon, by design and aesthetic details resultón is most of all. The sound section meets although recycling note melodies, which are beginning to be quite tiresome and repetitive. A priori, when Nintendo announced the game, it seemed that this would be a poorly designed game. 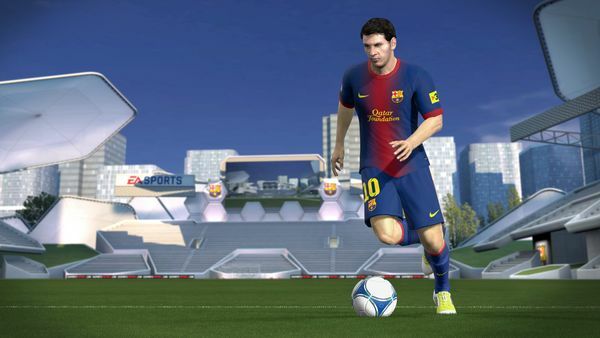 However, after playing we have made ​​a major effort to relaunch the franchise and give us a compelling reason to play. Those who enjoyed the three previous games, so do with this release for Wii U. For those who doubted him, will serve to reconcile and give a well deserved opportunity. Today, the best exclusive title for the new console from Nintendo. Facebook said the list this year is "diverse and inclusive" with the emergence of new categories of games developed by companies worldwide. The list takes into account social games on Facebook launched in 2012 and integrated with mobile gaming social network for iPhone, iPad and Android. The ranking includes titles with at least 100,000 monthly active users and those who received the highest star ratings by the players. Today is one of those important days in the world of video games , as Nintendo releases a new home console, which becomes the ninth (counting laptops) that launches from the Japanese company that saw the light in 1983, the legendary and successful Famicom (better known in these parts as NES). This time as a close in 2012, Nintendo has just launched on the market in Europe expected Wii U , which is a new twist to the typical style of play of Wii original, which has been in business since 2006. 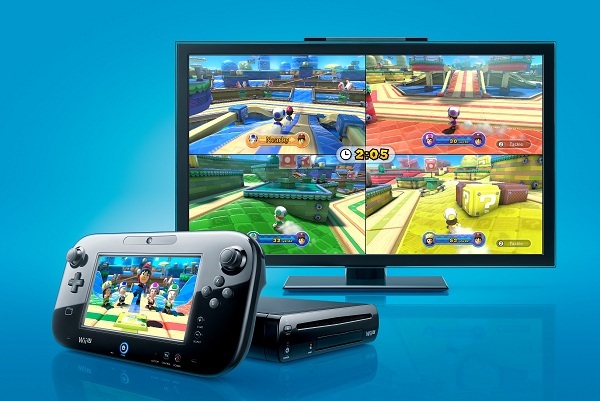 Wii U introduces enough new features to the current holders of a change Wii arise. The first and most important one is the jump to high definition. Now, players and Nintendo Wii U will experience the feeling first connect the HDMI cable to your TV and enjoy the games as they had never seen on a console for this manufacturer. 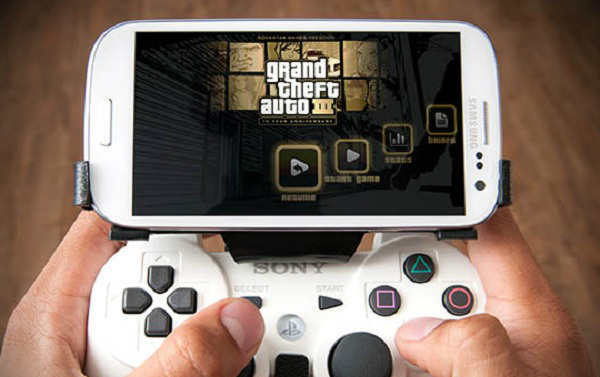 Another major strength is the incorporation of new GamePad, a kind of mix between the traditional joystick and interactive tablet, which will expand the possibilities and realism in many games. And let's just talk about games now, because if you're one of the lucky ones who will buy or already have in your possession a Wii U, I like to know the games that you can buy. Then we leave with a full list of titles that accompany the launch of Wii U in Spain. Generally, a release of what is presupposed is a great console, must be accompanied by a strong lineup of games that will attract the most undecided. Thus manca Nintendo has continued to Wii U and next to the console, the user can purchase today a total of 23 games to be found some real weight. 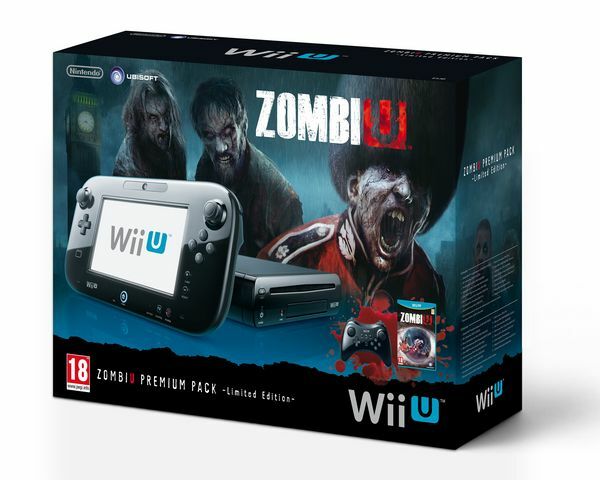 When buying the console, you can choose from a basic model, a model that includes the game Premium Nintendo Land and the Premium model plus it incorporates the action survival game ZombiU. The latter will be remembered for being one of the first games of Wii U to exploit the possibilities of interaction with the GamePad, for secondary actions as we stalk the eating-brains. Mario Bros could not miss the gala debut of the new system, and gamers can also purchase New Super Mario Bros, can see the old plumber with a quality never seen. The most demanding are problem with Wii U, as from today will also acquire the famous FIFA 13, Call of Duty: Black Ops 2, Mass Effect 3, Assassins Creed III or Batman Arkham City. Then we leave you with the list Complete the 23 titles available today for Wii U, who were soon joined by many others. Los FPS juegos de disparos son buenos para la salud. Gamers del mundo ya tienen excusa para jugar horas y que sus apdres no les puedan decir nada. La neurocientífica Daphne Bavellier, investigadora de la Universidad de Ginebra, llevó a cabo un curioso pero actual tema que da mucho que hablar, los videojuegos. Daphne declaro que los videojuegos de disparos en primera persona tienen un efecto positivo en nuestra salud cerebral, pero claramente en dosis razonables. “Tienen efectos bastante poderosos y positivos en muchos aspectos distintos de nuestro comportamiento; la agudeza visual, la atención, o la habilidad para hacer varias cosas a la vez o alternar su atención entre ellas” comentó en su presentación. Bavellier declaró que es bastante probable que en un futuro se combine la educación con el entretenimiento, pero que hasta que pase puede pasar bastante tiempo, una de las frases mas curiosas que dijo Daphne fue “Los videojuegos son para el cerebro lo que el vino para la salud“. ‘New Super Mario Bros. U’ esta camino a convertirse en la de estas navidades junto con la Wii U de Nintendo. Bueno asi que preparados, por que aca un video joya, es una hora se secretos una guía en vídeo con las 246 monedas estrella . Todo gracias a los responsables de GameXplain. Miralo bajo tu propio ya que si lo haces perderas la posibilidad de explorar tu mismo. Es importante recordar que por cada fase hay tres monedas estrella, y si en total hay 246 a recoger, esto hace un total de 82 fases. After a stint in PS3 and Xbox 360 under the name of 'Tekken Tag Tournament 2' , Namco Bandai has about Wii U debut with 'Tekken Tag Tournament 2 Wii U Edition', full version, especially wildest, the famous wrestling tournament of the equally popular series 'Tekken'. The Nov. 30 hit across Europe with the Wii U being, without doubt, the most striking titles an initial catalog more powerful than we are used to a console output. Although half of them have left for months on other platforms, the way things are. But contrary to what most of you might think, this will not be a simple adaptation, but apparently improve for months in PS3 and Xbox 360 exclusives bringing several to consider. Does the principal? Tekken Ball The hilarious way . That and the colorful costumes motif Mario, Link and company flavored with mushrooms beings we become giants. One can not take seriously the 'Tekken Tag Tournament 2 Wii U Edition', but make no mistake. Saga 'Tekken' never been taken seriously. Always been characterized by a great sense of humor, and no signs of change in this regard. And I well I'm glad. It took a few years to get a successor. But already here. The current Wii from Nintendo will be replaced on 30 November for a new game console. A successor called Wii U finally gives way to high definition and a new generation of social games. An entertainment system that aims to revolutionize the way we play with the console and interact with television, thanks to the design of your remote control, called GamePad. Seeing the excitement that created the console and the initial success that both stocks worldwide as the first hours on sale in the United States has had, it would not be surprising that a Wii U in Spain and more with Christmas the door of the corner, is a rather complicated task. In this article we will highlight 15 key points that will interest you to know about Wii U, whether you booked the console, as if you're one of the many undecided and are thinking about the possibility of buying it, as if you have decided to give away this Christmas. 1. The console has had overwhelming success of reserves worldwide and today it is very difficult to get a place to grab a Wii U. Obviously if we go to sites like eBay or online stores sales to third parties, we can buy a Wii U although possibly well above its official market price. That is, prices that range from 400 to 500 dollars or more. The seller put the price you want and the buyer decide if it is worth paying the price or wait to get one in store. 2. Queuing is another option to buy a Wii U on launch day or shortly thereafter. That is, the stores will receive a certain number of returns and customers who choose not to buy the console. This is the right time to buy the Wii U without being booked. Everything happens for watch and passed through different stores to find out their plans. 3. Nintendo has promised that it will have sufficient units of Wii U to supply the market, you may not be the first day or the first week, but the company claims as it did with the first Wii console replenishments will arrive during parties. 4. The Wii U is not a complement improved compatibility offered by the Wii with the Nintendo DS. While the new device has the soul of the DS, while the laptop user have both screens in the game and can only play himself, with interactive adventures Wii U charge another meaning, taking into our hands a powerful system that will Involve several people in the same room. 5. Wii U Wii is not just a novelty incorporating a command-tablet. Buyer you decide to have the console should be clear that while the system continues to support motion controls, the interior is totally different. This is the first high-definition console in Nintendo's history and that will be noticed much in the quality of their games. This will make the player accustomed Wii experience a thrilling visual field to match the Xbox 360 and PlayStation 3, where titles like New Super Mario Bros U are sparkling. 6. Surely soon Wii U will be the target of thousands of visual comparisons between games and the Xbox 360 or PlayStation 3. Before that happens, those who have been lucky enough to try some Wii U games on consoles existing Sony and Microsoft, claiming that Nintendo's new console is on par. One example is found in the version of Batman: Arkham City for Wii U, as the media have been able to test that claim that even visually improved version of Xbox 360. Anyway it is an adaptation of a game that has one year old, so it is still early to know how much give him the new system, although it should be noted that this bodes well, considering that the new platforms usually need several years to show its full potential . 7. U Wii games for now only support one GamePad and now Nintendo will not sell another additional driver separately. Much speculation in this regard, although the company later confirmed that Wii U will support two controllers with compatible games. 8. 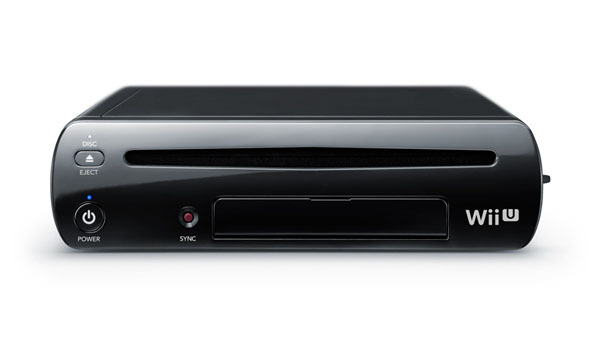 All models of Wii U, both basic as Deluxe, will come with an HDMI cable and HDMI only. Although the console has component output continues to integrate (a standard which came into operation 60 years ago.) Nintendo can boast of bringing to market the first video game console that completely ignore the typical wires red, white, yellow, green and blue, assuming that an overwhelming majority of the holders of a Wii U's connected to a TV via HDMI. 9. 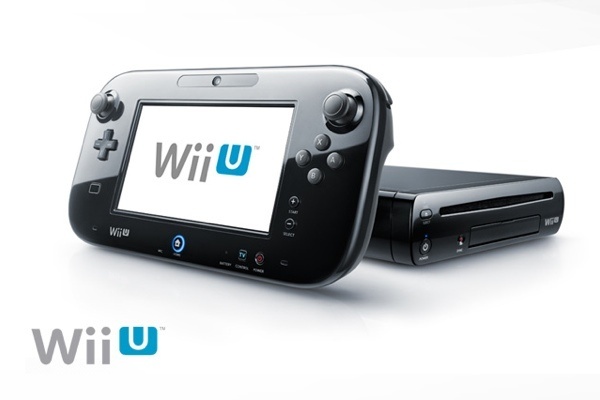 Wii U will be sold in Basic and Deluxe models. The first costs $400 while the latter is priced at $380 s. These 50 euros difference justified are unnecessary because the Deluxe model includes launch games, 32 gigabytes of internal memory (compared to 8 of the basic model) charging cradle for Wii U Game Pad, and a Wii console support U. When purchasing the console, the player should think whether it is worth or not save those $80 . 10. The Wii U can play their old games on the new Wii system, and to make the most of peripherals for games purchased as shotguns, pistols, rackets, fishing rods and more. However, contrary to what Sony did for the PSX and PS2 games on PS3, Nintendo has not announced plans to improve the visual quality of these games, so it will be just as they were in our old Wii. 11. Nintendo has released Wii U achievements in their games. While developers are free to incorporate achievements and scorecards in their titles, Nintendo does not offer any comprehensive tracking system to see the games you have completed or achievements, ie we can not see or compete with other players to see who got the greatest achievements. Wii U releases the player of this slab and return to the old tradition of simple love to play for the games. 12. The U Wii games are more expensive than the Wii, while the new console will have an average cost of 60 euros, the average of the veteran Wii is $80 . 13. The GamePad Wii U can be used as a remote control for your television. Nintendo has put a button on the right side of the GamePad, which when pressed displays a touch overlay that lets you change channels, access the guide as up and decrease the volume and other functions. 14. A major feature of Wii U is that the player can continue heading in the GamePad once off the TV or change the channel. This certainly avoid family fights for control of the television. However, Nintendo says the GamePad may not be at a distance of more than 7 meters from the console in order to continue with the games. This became clear in the presentation of the console, the GamePad is a handheld, so we can not go very far to keep playing. 15. 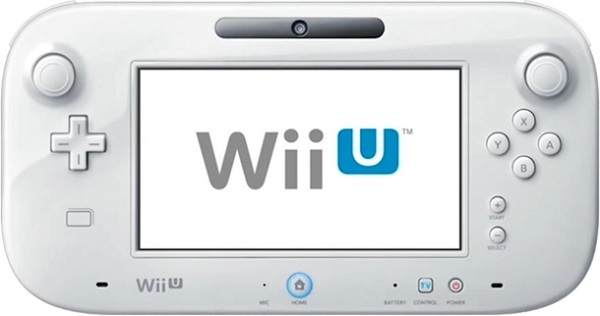 Nintendo has not offered much information about the Wii Internet Channel U as wvii, Miiverse or eShop. We do not know how it will experience in this area, so buyers of Wii U especially interested in the section on online games, will have to wait to see the first impressions in this field. Played and chewed it comes time to get down to writing the analysis of 'Resident Evil 6' , the intensely criticized macroproducción that Capcom decided to continue the series. Before we begin, a warning, not a bad game, but not a 'Resident Evil'. Eye because I say that without getting into the skin of the Taliban that the saga would continue exactly as in 'Resident Evil 2', by far my favorite title in the franchise. Touch evolve, it is clear, and in the end the ideas shown in this 'Resident Evil 6' separately are not bad, the problem is to unite the whole is lacking in coherence. Discuss this will be a conversation with their pluses and minuses, and I also would have preferred a remake of the first Resident Evil to use TPS have given us, but I recognize that if the market turns in one direction, only thing left to big companies is to stick to it. At the end to enjoy a survival horror it is best to approach other proposals indie worry less about the figures and market research. That's all very well, in fact if you ask us if we would like a game with all these elements contase asentiríamos head as fools, but the problem is that control a monster of so many arms is difficult, and in the end if one arm is loose and gives you a slap, everyone else eventually freed to do the same. The slaps hurt, but more so if that gives you the friend you've shared countless hours full of joy and suffering, especially when behind Capcom is trying to do the right things to appease a public that has been spread too thinly over the recent years, and kills you when you realize that the friend actually once was 'Resident Evil'. Good ideas start with introducing variety to the formula including four seasons with different characters and motivations. Leon star handles the classic (if that's possible), while Chris is focused on pure action and hard and takes it to another level Sherry chases Nemesis of the third installment. Good, very good, on paper I buy without thinking, but the problem is that in the end the differences between each other are not as we expected and some elements end up contaminating the others. For example it would look good for flying kicks Chris's hand, but squeaks too when Leon on who performs in a cemetery. The cemetery is no place to suplex zombies, is to run from one place to another looking for dodging attacks and ammunition among the tombstones, stick to leave when logical machine guns to use. 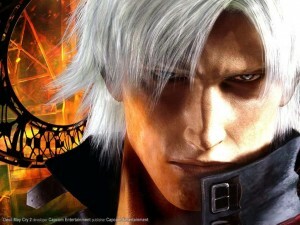 At that point the player will decide whether the campaign Chris also likes or prefers to stick to replay the survival environment of the story of Leon. At last the whole becomes one of those dishes that includes all the ingredients that you like, a lot of content to start gobbling like turkeys and when you have third and you are entering a cold sweat just thinking about everything you have left ahead. It is the first 'Resident Evil' in which I am running from the zombies not afraid to die, but because I want to and the next sequence and run like crazy things can give me. 'Resident Evil 6' is a tremendously long game, and that's not counting the replay that can be if you're one of those completists who do not release the knob to have everything at 100%. But creating something so immense ultimately leads to errors such as repetition of similar situations, the puzzles are there to stop you rather than to entertain or times when you have to wait for your partner to open a door with a kick. That last one, at least alone, is not something you reach overwhelming, mainly because the work done with the AI ​​mission partners working as well as it should. 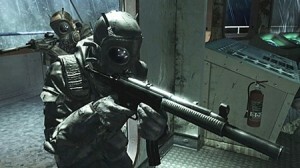 The multiplayer is a different story, and it all depends on whether you want to spend and to the next room and the other player is still hanging around the top of the map looking for ammunition in the rubble. I can not fault the control, despite the changes introduced is crazy that we had so many years asking, fast and agile to dodge and attack without having to worry about whether there is a wall covering our back. Details that at first did not come to mind as the shooting from the floor and roll to avoid attacks end up being more useful than expected, and also tremendously funny. Playing catch him every point, though, mainly because l camera is a real bummer, hopefully, improve considerably with the promised update that should come sooner rather than later. Because of this error is difficult to point to specific situations, but as I say it is one of the aspects that prevent the collapse of the game. Well also, for example, to increase the feeling of being overwhelmed by not paused the action to create the classic concoctions of plants. Something quite different happens to be the wave of QTE you continually come up, an addition that was his grace at the time but is beginning to get tired too. At the technical level 'Resident Evil 6' of course goes without retrieving in September, more videos and great direction by what we see with the game in action. End up being little details that ruin the whole, but if you go short of rich textures than on items that you have all the time in the foreground, such as the doors. Touch to thank for the dubbing, which fulfills a charm and also allows us to hear the English voices. Too bad that in the end taken too seriously happen invoice history, becoming the moments of grief in a succession of gags unplanned able to bring a smile to the more scary. I have in mind, for instance, the moment when Leon and Helena see a group of survivors through a security camera, and gives good by police to be a hero, wanting to come to their aid despite that zombies are already drooling with the feast with a few inches. Luckily the girl is smart and says he will not arrive in time. Of course you're not going to get there, what you expect. The funny thing is that finally 'Resident Evil 6', the experiment we tried shelling their strengths and weaknesses, has worked extremely well in sales. It is then touches really wonder if those who survive are those that are made with a name and lie to sleep. At that point, resigned, start the game and I get to enjoy what finally won me more joy, the classic mercenary mode returns to the fray taking advantage of all the good previously reported, without having to worry about telling a story or that the mechanical married together. The result was seen coming with the latest spin-off of the franchise, it may not be the game you were expecting, but that does not necessarily have to be bad. 'Resident Evil 6' has its mistakes, especially when you try to be something not is, how hard is to understand that it really is not, is a survival horror. If Capcom forget the horror genre in favor of TPS will end with a big game in his hands in the next edition. The dilemma is whether it was hoped that the ending to this saga. Resident Evil struggle to stay alive in a panorama screening-packed video game with his sixth delivery, and although what surrounds it is more spectacular than we could ever imagine, just treading water all the aspects that supposedly dominates Capcom perfectly. More information about Xbox 720 "Durango"
Although maybe Redmond is showing signs of concern on the fronts of Windows 8 and Surface, which does have the interest of consumers is the next generation Xbox console. The media have called Xbox 720, and have also referred to it by its codename Durango, but the fact is that Microsoft has not confirmed anything about the console yet. However, in what was the last paper publication Xbox World magazine, have focused squarely on the future console, and have even slipped some technical specifications. 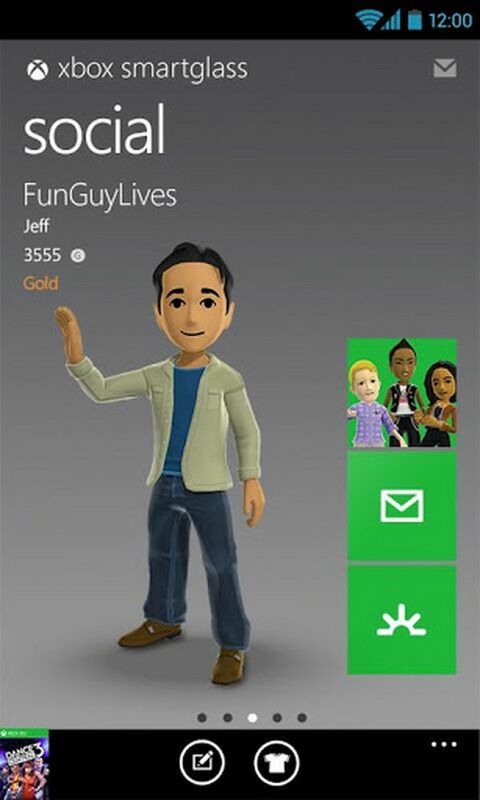 This is rumor control, here are the facts: The Xbox 360 continues to maintain an excellent pace. The console has become relatively affordable in recent months, and with some "tanks" associated as Halo 4 (300 million in sales), seven years after tomorrow meet not seem to have much weight. Moreover, the technical side is a bit more "hard" if you will, and this is where the maturity of the console and is exposing its limits. This makes the traveling players' minds a little ahead, and to the expected next generation Xbox console. The details from Redmond are practically nil. With the launch of Windows 8, Surface, Windows Phone 8 and the same Halo 4, that decision was reasonable, but now not so much. Across the pond, is another Black Friday will happen with the Xbox 360 on the shelves, and who want to buy an Xbox 720, you can not do yet. All guns are pointing to the next E3 for solid news, but people of Xbox World, in what was his last published paper, presented a detailed report on the Xbox 720. Much of the information is based on the Microsoft SDK, and what we have shared some developers. 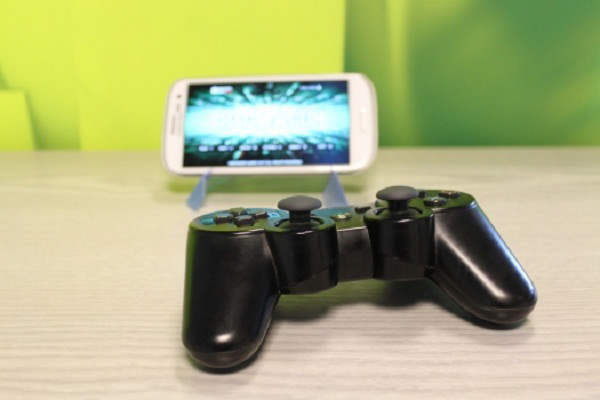 Each SDK has a quad-core processor and 8 GB of RAM, an amount that can match the RAM of the PS4, or stay halfway. Another interesting detail is that each processor core is divided into four logical cores, which somehow translates into sixteen processing threads. The rest of the specs speak Blu-ray support, input "and" output to TV, directional audio, and Kinect 2.0, which can track fingers and allow items with four people at once. Still, perhaps most important about this future console is in support of augmented reality, which probably had its own special glasses (perhaps as Google Glass?). On the pad, only said it will be "innovative", but the reviews are completed there. In an apocalyptic world, destroyed, full of ruins and where our only goal is to survive, can you guess which is the most abundant? indeed zombies. That's the game scenario that we are going to speak next and the threat that our hero will have to eliminate base bullets. 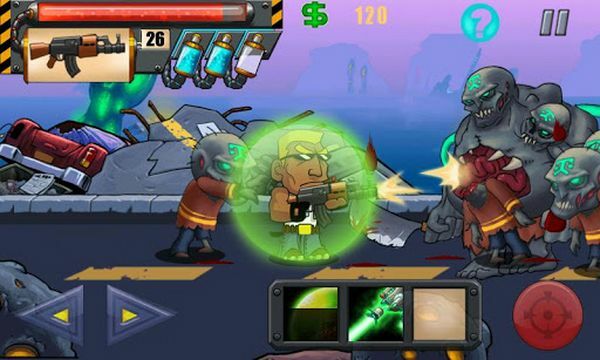 Infinite Monster is one of the most downloaded free games lately on Google Play , and it is precisely why your original script or by flaunting hiperealistas spectacular 3D graphics, Infitinto Monster is one of those games with little known trap and keep you glued to your mobile from the first game. Infinite Monster continues the earnest fashion that pervades the current video game zombies and positions us as the only hope against the threat of zombies and horrific monsters. 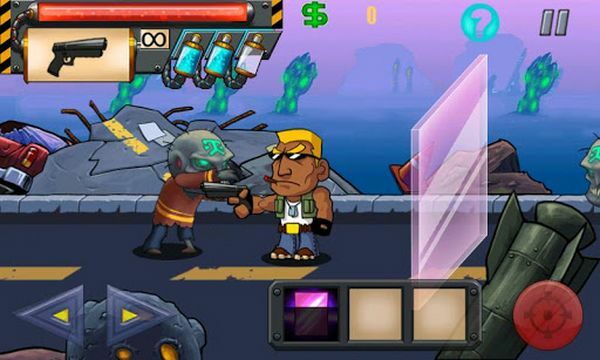 No, the kind you see in the picture above is not Duke Nukem, but looks suspiciously , is Infinite Monster Hero, uncle to chop much like Duke, cigar in mouth, not when inmutará get rid of the endless hordes of zombies that lurk. Then we leave the direct link to Google Play Android bazaar where you can download free of just over 7 megs of Infinite Monster. The first thing that catches the attention of Infinite Monster is its simplicity, it really is part of what makes success to the most successful titles of the moment. After taking a quick look at a simple tutorial, we start with the first level. The game is raised in the old way, using the classic 2D side-scrolling and crushing the large amount of enemies that appear on the right and left until you reach the boss that awaits us at the end of each level. Beginning Infinite Monster, will have a simple pistol and a shield that will protect us from enemies temporarily. Obviously both the arsenal and the number of objects, may go up as we win money. Thus we have at our disposal a total of 14 different weapons and skills 7. Infinite Monster graphs resemble typical Flash animated series, so they offer very colorful and funny animations on occasion. The controls are superimposed on the touch screen of our device, we can control them the right / left of the character and the shot. There will be buttons to activate different skills acquired. As a recommendation, we will tell you to try to resist starting gun for the first few levels, something that can be achieved with little effort, so you can save enough to buy a good shotgun or machine gun. But the character can take several weapons at once. We leave no more with the direct link to download from the bazaar Infinite Monster Android application, and with a video where you can appreciate its playability. Rockstar is still trying to keep the memory of Grand Theft Auto V constantly on our minds. By releasing information that's going to trickle to maintain the image and look fresh thrill even further. And to continue the tradition here is the second trailer for Grand Theft Auto V.
Ready for action? Well get ready to take a first look at the lives of our three protagonists. Know firsthand the problems with their teenagers Michael apparently will cause a lot of trouble. The bad milk Trevor tolerate not getting into "business" and setting fire to fix everything that is put in front of Franklin and love for cars, which apparently will eventually bring down the wrong path. Intense Action, loud music and a first look at some of the vehicles that we can use in the game. If we talk about graphics, if we look at what you see in the trailer will be a substantial improvement, but we should expect to see something in game before you get excited. What has been what most drew the attention? Next week we will release the sequel to Epic Mickey Wii title, which now will be released on Xbox 360, PlayStation 3, PC and Wii U. Disney today announced the availability of a Collector's Edition for Epic Mickey 2: The return of two heroes, as it did with the first delivery. This time, there are several extras that include this pack you can see in the picture. On the one hand we will have a USB memory Oswald, the second protagonist of the game with Mickey, 8 GB with Disney content. Players will also have a picture of Mickey Mouse, and includes a still from The Fox Chase short, original 1928. All this content will come, as you can see, wrapped in a box that mimics the old televisions, acclimating well to follow the aesthetics of the game. Epic Mickey, despite his mistakes, had an acceptable host for Wii, so we hope that this second installment captivate those players get Xbox 360 and PS3 that can not have played the first part. Games like Minecraft or Terraria have become fashionable genre of open world or sandbox dedicated more to survival than to complete a given objective. These are games that do not have a definite end and can offer many hours of fun during our excavations in search of new land or objects. Gender has made ​​it to Facebook in its simplest form with Diggy's Adventure, where you play a scout seeking treasures underground, and must travel to different scenarios. This is a game that can remind a two-dimensional Minecraft, but much more basic than Mojang game, but with more social elements. We invite friends from the popular social network to help us in our excavations and achieve most points and objects possible. There will be different levels where we can help and be a bonus to your character, so the most recommended is to invite one or more friends. As treasure hunters, never have a determined end in the game, and we will be digging at all levels whatever we want, as long as we do not lack energy or co excavation. One problem we find is the energy system that prevents us from moving all we want in the game, because we have to recharge our energy with short breaks in the game or spending it all and wait for it to recharge. There will be different types of skills and tools that we will be collecting digging in our excavations or missions. A tiered system will be with us at all times, allowing us to further deepen our explorations as we proceed in the same. Diggy, protagonist of the game, will be joined by other different characters like Linda adventurer and teacher, principal game guide accompany us in the first missions and show us the first use excavation skills. The blocks have different characteristics and may be removable or not. Some simply be an obstacle that we can circumvent or conceals a treasure inside. The treasures collected will also provide experience and some of them will be the centerpiece of the mission where we are, allowing us to progress through the game and unlock more content. Other missions include rescuing people trapped between the blocks or dig down to get different points, always avoiding the various obstacles we encounter, beyond the blocks. No doubt it is a recommended game for those fans who enjoy exploring and titles offered by the social network Facebook, getting bigger in these apps. At the end are the simplest games that get hooked to your smartphone or tablet, with puzzles or challenges very small, easy to control and with many levels to complete. 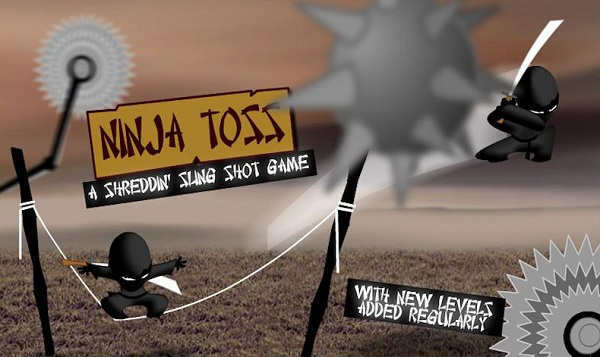 Physical games have found a place on mobile devices with this type of structure titles, and games like Ninja Toss clearly show how to do this very addictive titles. Totally free We can find it in the digital bazaar Apple App Store. 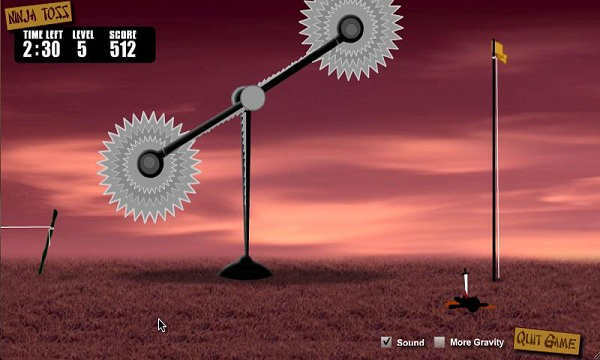 Basically our goal will be to our ninja to find the flag at the end of each stage, launched from an elastic cord. The problem is that this jump in your career, you will encounter many deadly obstacles as circular saws, katanas or blades sharp. Will not be easy, since the obstacles are dynamic and will not stop moving, so each jump is very different from the above. Practice and continuity allow us to resolve each and every levels. Control, thankfully, is as simple as just "grab" with our finger on the touch screen and tighten ninja gum with him on any part of it to make the leap we want. There will be long jumps, doing parable, dodging the blades ... We can use any kind of jump, but we must first learn to handle almost perfectly ninjas launcher to always get the jump we want. It may seem a very simple challenge but not until we put in front of the game when we realize it becomes really complicated sometimes, when the flag is about obstacles or when our breaks should be at an angle or special force. Nothing learned in previous levels or games Ninja Toss will help us, because we have to test hundreds of times with our ninja to try to get the perfect jump. The graphics will be the most basic, and the only notable animations will launch when the ninja and when it hits with the desired goal or the fearsome blades, which will result in an animation contact "gore" the failure of our protagonist, but then reappears integer. Neither is considered valid land on the ground and not on the flag, and that is something that the animations look perfectly well. Clearly, all players who have already experimented with other physical games and throwing things like Angry Birds will have a distinct advantage in this game and learn to be with him from the start. Others, however, need to devote extra time to learn the system, but all will agree that it is a very simple control and that the challenge will not go unresolved because the ninja launch until we get hold of the flag. Today, Square Enix and Crystal Dynamics have finally revealed the look and most importantly, the content of the Survival and collector editions. Note that the first of these will only Europe. Lara Croft figure 8 "
Small bag 4 "x 6"
Art book "The Art of Tomb Raider"
Still do not know the price of these special editions, what is certain is that they will at the time of release of the new Tomb Raider, it will arrive in March 2013 for PCs, PlayStation 3 and Xbox 360. The French company Gameloft has reportedly already available their last game. This is World At Arms, an adventure of military strategy in which we will have to start from scratch to build a large army and end the threat that hangs over the world. World At Arms is a world simulator but military theme, that is, that everything we build or improve, will go to increase the firepower and the strength of our defenses, facing ongoing fighting, which occur with bloody battles in places around the world. The good news is that by following his usual marketing policy, World At Arms is a game totally free, so all users of iPhone , iPad and iPod Touch can download free of charge from the App Store of Apple. Gameloft announces that possessing a smartphone or tablet based on the Android operating system, will have to wait until the end of this month of November to find it on Google Play. The World At Arms argument puts us in an apocalyptic world in which nations are mired in a war against a dangerous and highly trained alliance known as ACR. To stop and remove all the forces of the ACR, the player must build if own military base, invest in intelligence and weaponry and hospitals raise well prepared to deal with the huge number of wounded who come from the race. We must also take care to prepare our military through a rigorous training system. The game is raised in isometric overhead view, from which we have control of our central base and the battles when they take place. The World At Arms charts are maintained and are of the most colorful, having a variety of buildings, weapons or vehicles. The player can send their troops by land, sea or air in different locations such as desert, city or snowy areas. The World At Arms campaign offers users more than 75 missions to complete and can attack any player in the world or work with him, thanks to the social character of this adventure and connections Gamelof Live online system. Then we leave the direct link to download World At Arms from the App Store compatible with your iPhone, iPad and iPod Touch and the official trailer of the game in which you can see part of the gameplay and the options available. 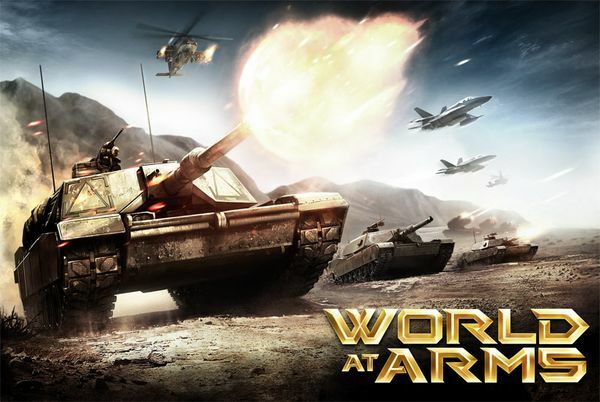 World At Arms download free for iPhone, iPad and iPod Touch. Objective: to end once and for all with the Empire pigs. 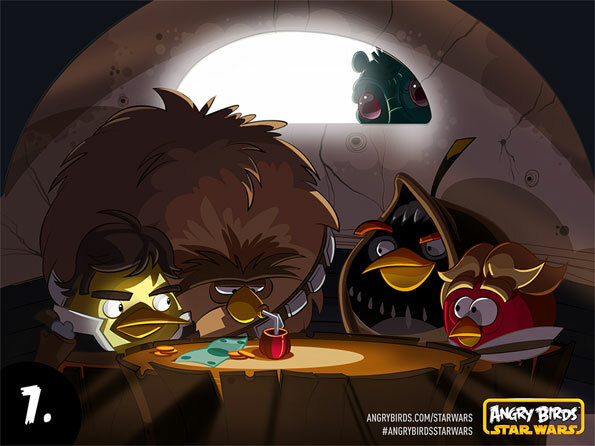 This is the new role of Angry Birds Star Wars, a new edition of the famous video of the birds pissed already available and ready to be downloaded for various platforms. In fact, you can enjoy this ingenious proposal virtually all users of different operating systems, which undoubtedly is always a great success. And by now. 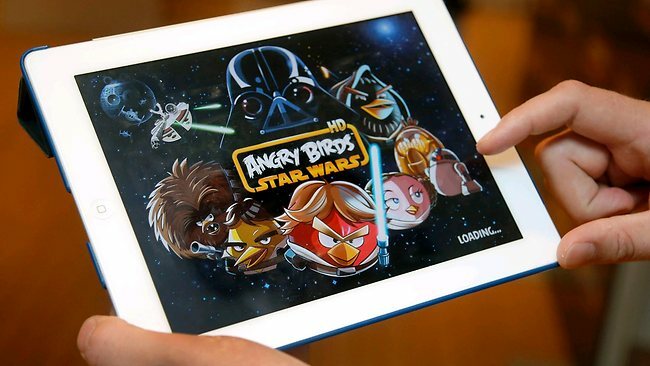 For the occasion, the company Rovio (owner of this brand and almost legendary saga) has joined forces with Lucasfilm, a classic among classics of video games and movies. In fact, LucasFilm shot to stardom thanks to such mythical games like Monkey Island or Maniac Mansion, adventure games of old. 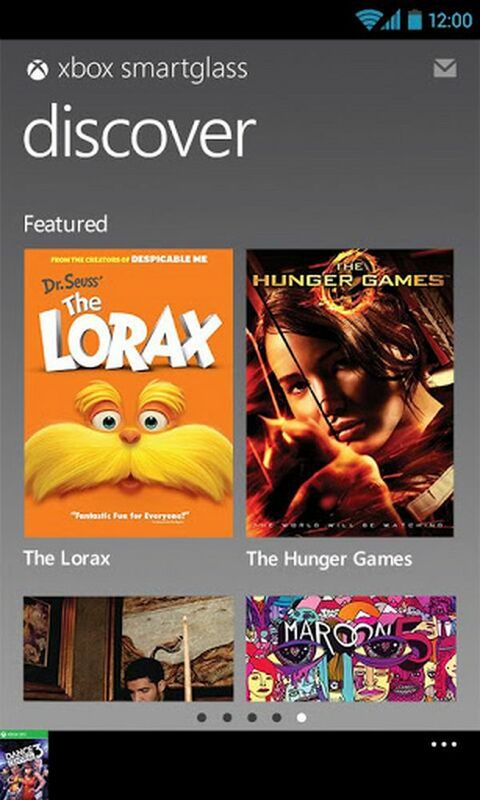 Your library can not miss, so this time they could not disappoint. 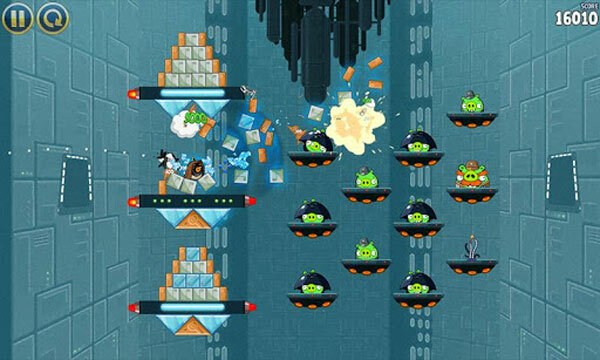 Angry Birds Star Wars brings many improvements and nods to the game that once launched and LucasFilm and are also held in its sequel, Space. But what about this game? What's New in this special edition? Well, you'll see that in this case the birds show a substantial change when an enemy bomb. And they can use weapons, unheard of in its class. In fact, some will have an opportunity to make shots and of course, hold lightsabers to attack their eternal enemies: the pigs. On the stage, we can say that the center of the story takes place on Tatooine, the planet of two suns, place from which we can move to other worlds. In fact, moving forward we have to be especially good at the game and unlock screens based on our achievements. As usual in Rovio, over time is more than likely to add new levels and displays. This will have to wait a few weeks, but it would be strange if we could see an update ahead of schedule. Well, if you were wanting to download this new game you're in luck, because from yesterday is in virtually all application stores for smartphones and tablets. Find it at Google Play, the market for apps you have open Google for Android , in this case $ 2.99 for HD version or free, as always, but will bring publicity. They can also download the owners of iPhone and iPad . In the first case will cost $0.99 and the second, to $2.99. Finally, those who want to play the birds through your Mac will have to pay an amount of $4.99. This will have the right to download the updates. 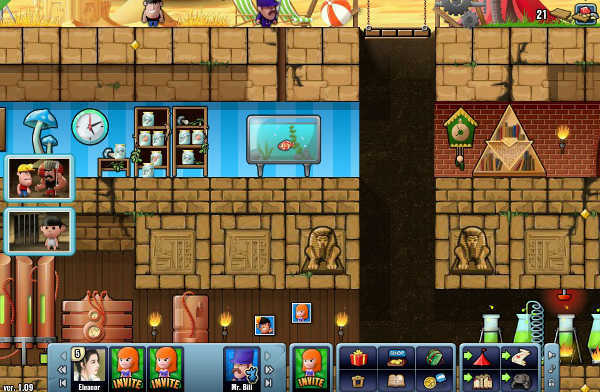 The game is also available in the app store of Amazon and will soon be available for Windows Phone and Windows 8. Hope you enjoy it and you can share your impressions in the comments section ... What do you think you play?